Real Estate Regulatory and Development Act, 2016 was enacted with regard to many aspects of Real Estate market. The Act has provisions ranging from justice to the aggrieved homebuyer to regulations such as project and agent registration. The newly established authorities across states have dual duties one that of judicial nature and the other that of a regulator. 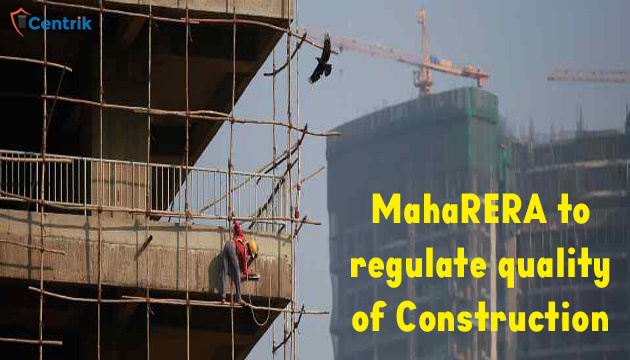 Maharashtra RERA has set an amazing example for all the authorities across India vide its recent circular. The circular has imbibed the problems of the homebuyers as that of the authority. Now, all the projects registered with the Authority have to mandatorily fill up a Form 2A in order to lay down an undertaking as to goods being used for construction of the project which has to be in accordance with the Building code of India. Further, the engineer concerned with the project has to submit a quarterly report with the Authority in order to ensure quality of goods being used. As per the circular, two types of quality checks will be required. One is to carry out work in accordance with development permissions and approved plans and other is to check the construction materials such as rods, cement, bricks/blocks, steel and concrete. The circular had clearly mentioned what kind of material should be used. On the same lines, another circular also has been issued which states penalties for the unregistered project and also talks about there being an independent tab as to “non-registration” from which the complaints will be taken up. MahaRERA which completed a year on May 1 this year is the most progressive authority in India. The authority beyond giving remarkable orders is also trying its best to play the role of regulator. The way authority is managing both the roles is an example in itself and we hope the other authorities start taking a clue soon form them.